Steven Fretz, formerly of Michael Mina's now-shuttered XIV, serves up Modern American cuisine at The Church Key in West Hollywood. Dishes like pig ear "Cheetos" are served dim sum-style from carts that are rolled around the restaurant. The Church Key, 8730 Sunset Blvd., West Hollywood, CA 90069, 424-249-3700. Chengdu Taste has opened in Alhambra, quickly becoming recognized as one of the premier Sichuan restaurants in the San Gabriel Valley, which has one of the highest concentrations of Chinese eateries in the nation. Specialties include a diced rabbit dish popular back in the city of Chengdu; sliced beef in chili oil; and a deep-fried, sweet sauce-glazed lion fish, an off-the-menu specialty very rarely found in this country. Lunch & Dinner daily. Chengdu Taste, 828 W, Valley Blvd., Alhambra, CA 91803, 626-588-2284. Recently opened in Brentwood Gardens is Elaine’s Bakery & Café, a boutique restaurant offering seasonal dishes incorporating local, organic ingredients. Lunch options include a chicken and pesto panini, a French dip sandwich and a black kale Caesar salad, while breakfast fare features waffles, crêpes and breakfast sandwiches. Among sweets are French macarons, brownies, cupcakes and bread pudding. The café is open daily until 4:30 p.m. Elaine’s Bakery & Café, 11677 San Vicente Blvd., Suite 317, Los Angeles, CA 90049, 310-442-2233. A Spanish restaurant named smoke.oil.salt. is slated to open in February 2014 in the Melrose Avenue space that formerly housed Angeli Caffe. A venture of Adam Fleischman, Stephen Gelber and Jason Berkowitz, it will feature the cooking of Perfecto Rocher, who cooked briefly at Lazy Ox Canteen last year. He is anxious to introduce authentic Spanish flavors in dishes like fideuà, grilled seafood and suckling pig. smoke.oil.salt., 7274 Melrose Ave., Los Angeles, CA 90046, 323-930-7900. A major trend right now in the L.A. dining scene is the upscale Chinese experience, evidenced by places like Chi Lin and Hakkasan. After a year-and-a-half hiatus, Philippe, a posh Melrose Avenue Chinese restaurant, is resurfacing under new management in Beverly Hills. 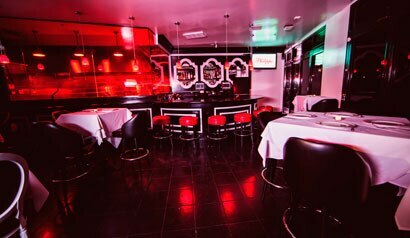 The 5,000-square-foot space is decked out in black, red and white, the signature of the original Philippe. The new restaurant, which showcases the cuisine of chef Philippe Chow, offers dumplings, noodles and scallion pancakes, as well as red king crabs and the restaurant’s famous Peking duck. Philippe, 8620 Wilshire Blvd., Beverly Hills, CA 90211, 310-289-3500. The latest fast-food DIY trend Shophouse Southeast Asian Kitchen has added a second L.A. location (the first is in Hollywood) in Santa Monica at the Third Street Promenade. Diners order custom rice or noodle bowls with meat, veggies or tofu, laced with the Southeast Asian flavors of chili, Thai basil, tamarind, lime and ginger. Lunch & Dinner daily. Shophouse Southeast Asian Kitchen, 1401 Third St. Promenade, Santa Monica, CA 90401, 310-382-2028. Owners Jonathan Parada, Steven Cardenas and Stephen Kooshian have opened a small local brewery and taproom in Monrovia, Pacific Plate Brewing Co., serving up growlers and pints of craft beers like Mango IPA, Horchata Stout, Cardamom-Ginger Saison and Sour Cherry Agave Wheat. Food is available to order in by local eateries. Dinner Wed.-Sun. Pacific Plate Brewing Co., 1999 S. Myrtle Ave., Monrovia, CA 91016, 626-239-8456. In Chinatown, Peking Tavern offers Beijing-style street food and craft cocktails from Cari Hah (The Varnish). Northern Chinese dishes include pork and seafood dumplings, potstickers, scallion pancakes and hand-pulled noodles. Expect cocktails mixed up with Chinese baijiu, bourbon and vodka, and beers ranging from Yanjing to Black Market Hefe. Dinner Mon.-Sat. Peking Tavern, 806 S. Spring St., Los Angeles, CA 90014, 213-988-8308. Bestia chef/co-owner Ori Menashe is planning to open a Middle Eastern restaurant in the Arts District in downtown Los Angeles by the end of next year. Partnering with Bestia co-owner Bill Chait (Rivera, Picca), the Israeli-raised chef looks to dish up tagines, Middle-Eastern charcuterie and house-made cheeses, while his wife, Bestia pastry chef Genevieve Gergis, will offer desserts. Both the name and exact location are TBA. M Cafe, known for contemporary macrobiotic fare, with locations in Beverly Hills and West Hollywood, has opened its third location, in Brentwood. Healthy options for breakfast, weekend brunch, lunch and dinner include a breakfast burrito with fresh kale, tempeh salad, big macro burger and spicy yuzu miso noodles, as well as fresh-pressed juices. Breakfast, Lunch & Dinner daily. M Cafe, 11678 San Vicente Blvd., Brentwood, CA 90049, 310-207-1122. Koreatown will soon be host to a new restaurant from Gary Menes (marche L.A., Palate Food+Wine), Le Comptoir (which means “the counter,”) in the refurbished Hotel Normandie. The modern, intimate space will seat just eight diners for a chef’s tasting menu five nights a week, and is expected to open in early 2014. The Le Comptoir pop-up, which has roved around the city for more than two years, resides currently at Glendale’s Wine Vault through the fall and early winter, and focuses on an all-vegetable tasting menu with meat and seafood supplements. Dinner Tues.-Sat. Le Comptoir, Hotel Normandie, 605 S. Normandie Ave., Los Angeles, CA 90005, no phone. Gene Simmons and Paul Stanley of the band KISS, restaurateur Michael Zislis (ROCK'N FISH, Shade Hotel, Circa), and music industry vets Dave and Dell Furano have opened a branch of Rock & Brews in Terminal 5 at Los Angeles International Airport. The restaurant offers American fare and a selection of craft beers. Rock & Brews' other Southern California locations can be found in El Segundo and Redondo Beach. Rock & Brews, Los Angeles International Airport, Terminal 5, Los Angeles, CA 90045, 424-702-1619. Sushi Zo, the downtown cousin of the Culver City sushi bar, has opened in the Old Bank District. The restaurant features an omakase-only bar for dedicated sushi connoisseurs, presided over by chef Keizo Seki, plus tables in a sleek, modern space. Lunch Mon.-Fri., Dinner Mon.-Sat. Sushi Zo, 334 S. Main St., Los Angeles, CA 90013, 213-935-8409. Tom Bergin’s Tavern, which originally opened in 1936 and closed last July, following an extensive renovation and introduction of a new menu by chef/co-owner Brandon Boudet, has reportedly been purchased by a longtime regular customer. The new owner is dedicated to revitalizing the legendary Irish pub, which is expected to reopen around January 2014. Tom Bergin’s Tavern, 840 S. Fairfax Ave., Los Angeles, CA 90036, 323-936-7151. Downtown’s Millennium Biltmore Hotel has introduced Bugis Street Brasserie, named after a street in Singapore. Located in the former space of Sai Sai Noodle Bar, it features Singaporean, Malyasian, Chinese and Japanese cuisines. Dishes might include salt and pepper squid; Singapore laksa; and fresh seafood, chicken, pork, beef and vegetables served with fried rice. This is the first U.S. location for a concept that has been successful in the chain’s hotels in Great Britain. Lunch and dinner are served daily. Bugis Street Brasserie, Millennium Biltmore Hotel, 506 S Grand Ave., Los Angeles, CA 90071, 213-624-1100. Three’s a charm for chef Josef Centeno (Baco Mercat, Bar Ama), who’s opened a third eatery downtown. Orsa & Winston is located next to Centeno’s Tex-Mex Bar Ama, with a menu featuring Italian small plates. Orsa & Winston, 122 West 4th St., Los Angeles, CA 90013, 213-687-7000. LudoBird, Ludo Lefebvre’s new fried chicken stand at Staples Center, is now open. Fans will find a menu similar to the chef’s LudoTruck, with the main focus on his Provençal chicken (white or dark), plain or as a sandwich. There are also garlic-honey wings, potato salad, chips, honey lavender biscuits, and a new sweet and salty ice cream sandwich on a brioche bun. Dinner nightly during events. LudoBird, Staples Center, 1111 S Figueroa St., Los Angeles, CA 90015, no phone. 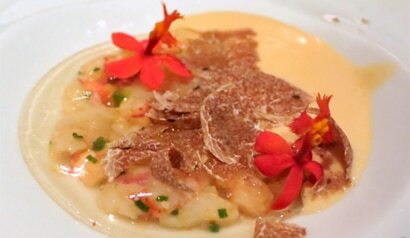 SAAM at The Bazaar by Jose Andres is presenting the second annual Truffle Season Dinner Series through November 23. Read more on GAYOT's blog. SAAM at The Bazaar by Jose Andres, SLS Hotel at Beverly Hills, 465 S. La Cienega Blvd., Los Angeles, CA 90048, 310-246-5555. Australian celebrity chef Curtis Stone will open his first restaurant in Beverly Hills. It will be named Maude and will be located in the former Pici Enoteca space. Maude, 212 S. Beverly Dr., Beverly Hills, CA 90212, 310-859-3418. Chef Ricardo Zarate has introduced a daily cocktail hour at Picca showcasing four of Julian Cox’s handcrafted cocktails, available daily from 6 p.m.-7 p.m. The new libations ($8-$9) include a Pisco Sour (Pisco bitters, egg white, citrus, simple syrup), the "Crush Groove" (grape-infused Pisco, lemon, simple syrup), the "Peruvian Maid" (cucumber pisco, lime, simple syrup, mint) and the "Anejo Honey Sour" (anejo tequila, lemon, honey, grapefruit essence.) Signature anticuchos and ceviches feature miso black cod or fresh uni scallop tiradito with leche de tigre and oba. Picca, 9575 W. Pico Blvd., Los Angeles, CA 90035, 310-277-0133. Pitfire Artisan Pizza in West Hollywood has introduced a full bar program by mixologist Steve Garcia (Pie Society) featuring signature cocktails and a special late-night menu with pizzas and other snacks. Garcia's new WeHo creations include “I Got Beet” with Ford’s Gin, house-made beet simple syrup, lime juice, Peychaud’s Bitters and an orange peel garnish, as well as a selection of cocktails on tap, such as the "Cold Toddy" with Buffalo Trace Bourbon, St. Elizabeth Allspice Dram, lemon juice and honey. The late-night menu will be served until midnight Sundays through Thursdays, and until 1 a.m. Fridays and Saturdays. Pitfire Artisan Pizza, 801 N. Fairfax Ave., West Hollywood, CA 90046, 323-544-6240. In Santa Monica, Italian favorite La Botte Ristorante has debuted a new wine lounge, LAperitivo, featuring a seasonal, four-course tasting menu and a selection of local and international wines procured by chef-owner Stefano De Lorenzo. The lounge’s tasting menu incorporates organic ingredients from local farmer’s markets and costs $20; featured items include classic lasagna, Luna oysters and mushroom gelato with a choice of red or white wine. 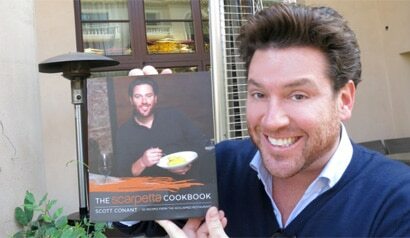 La Botte Ristorante, 620 Santa Monica Blvd., Santa Monica, CA 90401, 310-576-3072. While the La Brea Bakery Café undergoes renovations at its new location, it’s launched a temporary food truck behind the building that will serve pastries, sandwiches, salads and coffee drinks Monday through Friday from 7 a.m.-3 p.m. The new café and bakery should open in early winter. Breakfast & Lunch Mon.-Fri. La Brea Bakery Café Truck, 468 S. La Brea Ave., Los Angeles, CA 90036, no phone. Chef Bernhard Mairinger's BierBeisl in Beverly Hills will host its last night of regular dinner service on November 9, 2013. After a few months on hiatus, he intends to return with a new concept and new Westside location. BierBeisl, 9669 Santa Monica Blvd., Beverly Hills, CA 90210, 310-271-7274. Susan Feniger's STREET has temporarily closed. Susan Feniger's STREET, 742 N. Highland Ave., Los Angeles, CA 90038, 323-203-0500. The Buggy Whip, the traditional steakhouse established in 1949, has closed its doors. The Buggy Whip, 7420 La Tijera Blvd., Los Angeles, CA 90045, no phone. Santa Monica’s Bamboo Izakaya has closed after less than a year in business. The owners will be reopening as 41 Ocean Restaurant, part of the adjacent Club 41 Ocean. The new concept is expected to open in November. Bamboo Izakaya, 1541 Ocean Ave., Santa Monica, CA 90401, no phone. Chef Casey Lane’s (The Tasting Kitchen) stylish downtown gastropub, The Parish, has closed. The Parish, 840 S. Spring St., Los Angeles, CA 90014, no phone.